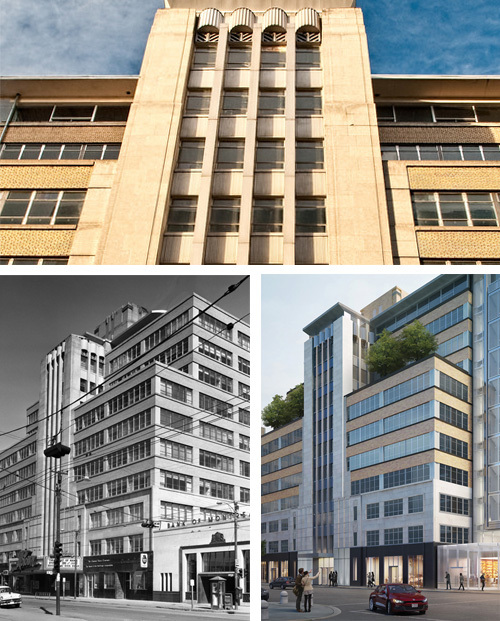 We’re proud to be part of the team bringing this historic building back to life. The Barron Building is one Calgary’s most historic buildings. Built between 1949 and 1951, it was officially recognized as Significant Alberta Architecture by the Alberta Association of Architects in 2003. The redevelopment of the building will see a new glass tower added on the east side of the building and the conversion of the Uptown Theatre space into retail space. As important as the project is, it comes with the challenges of incorporating new mechanical systems into an existing, and deeply aged structure. 21st century building standards have changed significantly from the period when this historic building was designed. Retrofitting new technology while maintaining the integrity and character of the building presents numerous challenges. Rest assured, we know that we’re up for those challenges. In fact, our goal isn’t to simply make it work, but to deliver a LEED Platinum level system that will make the new Barron Building one of the most energy efficient in the city. Quiet, comfortable office spaces = productive employees. And that adds up to a better bottom line. We provide full design services for all office spaces ranging from interior tenant renovations to high-rise design. Our ability to visualize the building’s physical constraints allows us to provide well coordinated designs that integrate within the architect’s vision while maintaining the client’s budget. Our design philosophy is based in proven and reliable systems with an ongoing focus on maximizing energy efficiency through emerging technology.